The most common cause of bruising is blood leakage to under the skin around the eyes is rupture and bone fracture (osteotomy) for the nasal bone during nasal aesthetic surgery. Although the blood supply varies according to the technique, the more the nose belt is, the lighter the skin and the thinner it is, the faster the eye-surrounding cranium may be after the surgery. That is, as the amount of crushed bone increases; the amount of leaked blood is also increased. As the thickness of the skin decreases, bleeding and bruising in the underlying tissue can be seen so easily. Generally, the periocular bruises, which are few in number immediately after the operation, are visible in the maximum amount of bruise around the eye in the first 3 days and then decrease. Bruising around the eyes is mostly seen on the lower eyelid and the cheek neighborhood of the nasal bone. Bruising around the eyes can be seen in patients who stay longer time at horizontal resting position especially at the post-operative early period and in the hot room. It will not be seen in the eyes around the eyes after every aesthetic nose surgery! During nose aesthetic operations, if limited intervention is made to the nasal bone, the amount of blood leaked through the nasal bone will be small, and no moribund may be seen. However, in order to reduce the volume of the nasal bone, modern devices and applications may be equally effective in reducing morale. It can be effective in making complaints about the tissue during operation (such as preserving the bone membrane), rapid completion of the operation and cold application on the nose with cold serum during the operation to reduce the bruise and pain after the operation. Importance of hospitals and operating conditions for bruising around the eye after rhinoplasty! Many patients think that "the hospital is not important", "the doctor who performed the surgery they only determine the outcome"; I would like to emphasize not only your comfort after the surgery but also the hospital conditions regarding the amount of bruising around the eye. The rapid increase in blood pressure during surgery, the rapid wake up of the general anesthesia of the patient can be caused to excessive blood leakage under the nose skin thus bruising. 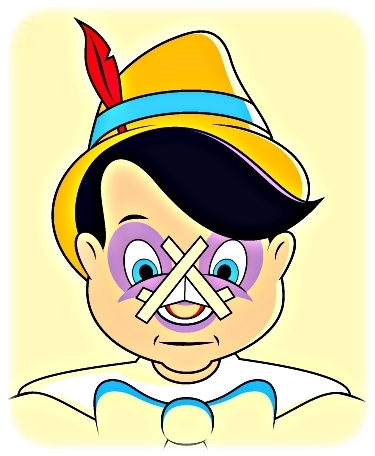 The administration of medications that reduce bleeding during surgery (cortisone-containing cocktails, followed by the level of carbon dioxide) may contribute to lesser bruising around the eye after rhinoplasty. How long does bruising last after rhinoplasty? Usually, bruising around the eyes turns into a greenish skin tone in the first 2 weeks, and then leaves after the 2nd week. When the 3 weeks are completed, the color change around the eyes usually gets out of the way. However, rarely the color change under the eyes takes longer. If herbal supplement pills and topical skin jellies which produced for burising and swelling are used , if ice application and attention to the vertical position are taken into consideration, the bruising around the eyes can be disappeared faster. Bruising and red eyes after rhinoplasty Bruising around the eyes after the rhinoplasty operation How long does bruising last after rhinoplasty? When is bruising the worst after rhinoplasty?